The mental side of poker is arguably more important than the strategy side especially in today's tighter higher variance games. Yet it seems like 95%+ of the educational material out there is about the latter. This has always seemed crazy to me. 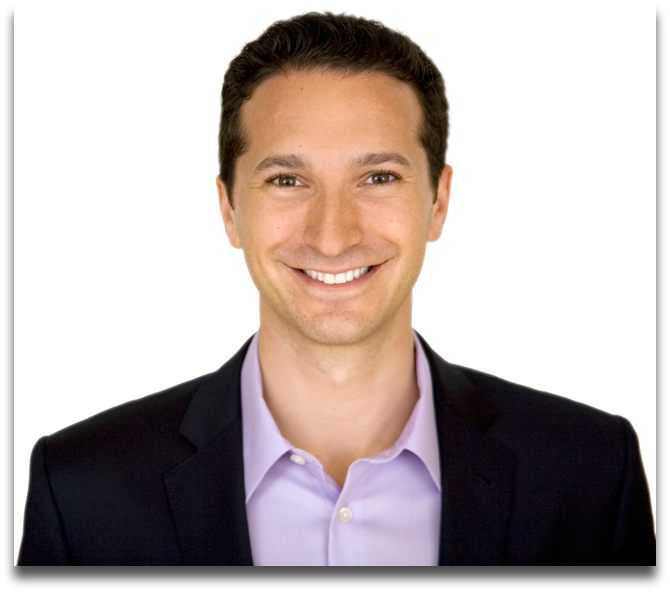 This is why I am happy to bring on my blog today arguably the world's most well known poker mental game coach and author, Jared Tendler. He has worked with some of the biggest names in the industry. And he helped me out early on in my poker career as well. So without further ado let's get right into the interview! I’m a Virgo, 37, like long walks on the beach…lol. I’ve been a mental game coach now for over a decade. I started back in 2005 working with golfers – I was an aspiring professional golfer myself and so it was a natural fit for me to start working with them. I got into this field because I had my own mental hang-ups as I was playing in some big national golf events. I did really well overall – I was 3x all-american and won 9 tournaments in college, but in the big time national events, I was choking. First time it happened in 1997, I missed a playoff to get to the second stage of US Open qualifying by a shot and I missed a bunch of short putts! It was brutal but that drove me to figure out how to solve my mental problem. What I found didn’t really work for me so I decided to find answers. That led me to get a Master’s degree in counseling psychology and get licensed as a therapist – which took 2 years of full time work. All in an effort to understand how to solve mental/emotional issues at a deeper level. 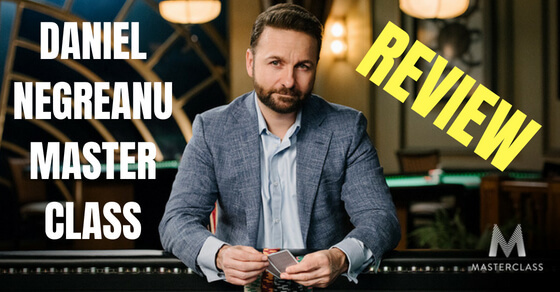 How did you get involved in working with poker players? Pretty random actually. I met Dusty Schmidt (aka "Leatherass", legendary online grinder) on the golf course because we had some mutual friends in common. This was in 2007 and he was trying to make SuperNova Elite in just 10 months – which was unheard of back then. The problem was that he was tilting badly. Destroying computers, mice, and the walls in his office. He basically paid for my coaching with the money he saved on new equipment. The results of my work with him were immense – he went from winning 20-30k/month to winning over $600k in the subsequent 4 months. After that success I got involved with Stoxpoker and started making a name for myself. 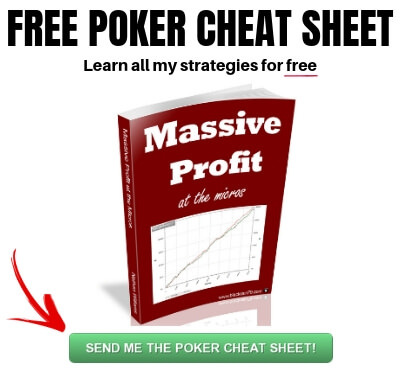 What are the biggest mental game issues that poker players come to you with? Before I wrote my books, it was far and away tilt. 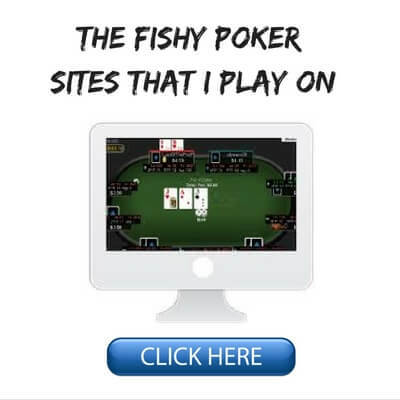 This is something that nearly every poker player I talked to was struggling with. These days, the issues are more related to confidence and motivation. Do you think that high stakes players have similar mental game hang-ups as low stakes players? Absolutely. The stakes don’t change the issues, they just change the unique ways those issues can show up. Tilt, fear, motivational issues and confidence issues exist everywhere. No poker player has solved the mental game. Most of my readers here play at very low stakes. Do you have any general advice for them on dealing with bad beats and limiting tilt? Bad beats are like a business expense. They’re unavoidable and frankly they’re evidence of quality play. If you’re not taking bad beats, it means you’re not playing well enough to be a favorite. Bad beats are not fun, but the more you realize they’re part of the game, and that variance is an uncontrollable part of the game, the less they’ll affect you. This is all easy to say, and many of you may already be aware that this is true. To really make them not affect you, you have to train your mind. Read and think about this paragraph every day you play for the next 60-90 days. Training doesn’t happen overnight. The Mental Game of Poker and The Mental Game of Poker 2 have both received wide praise. 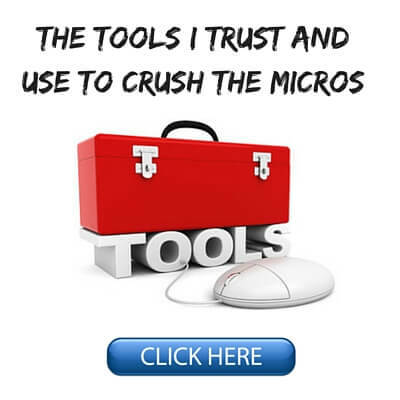 What inspired you to write them and how do you think they would benefit micro stakes poker players in particular? 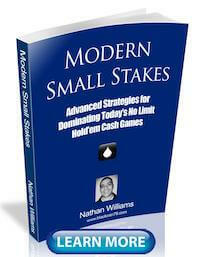 Micro and low stakes players were a primary motivation in writing them. I know they’re priced out of getting coaching with me and I wanted to give them an opportunity to learn more about the mental game at a lower cost. Basically they’ll get the information that I share with my private clients. The key is that they’ve got to work a bit harder to really get the benefit. A lot of players – at all levels – falsely assume that just reading the book will cure them. Like a lot of things in poker, to improve you’ve got to work at it. The same is true here. 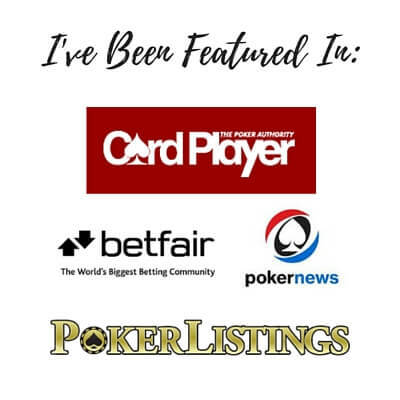 I know that you also have a popular podcast where you have interviewed some of the biggest names in the industry like Daniel Negreanu, Phil Galfond and others. What inspired you to start this and what has it been like? It was a great opportunity to have high level conversations with some of the best poker players/minds around. I’ve really enjoyed it! But to be honest the conversations started to get a bit stale. So recently I’ve gone in a different direction and have interviewed other people in psychology and other professionals, like a client of mine who is one of the top pool players in the world. It’s been fun to mix it up. Thank you very much for doing this interview Jared! Where can the readers find your website, your books, your podcast, coaching, social media and anything else? Absolutely! Here’s my website and they can find info there on where to pick up my books. I also have a ton of free articles, blogs, and my podcast there. They can also get the audiobook of The Mental Game of Poker 1 or 2 for free – info is here. Here’s the links to my Twitter and Facebook. I hope you guys got some useful stuff out of this interview. I think the most fascinating thing that I will take away is that high stakes players actually have a lot of the same mental game issues as low stakes players. Also, I thought the part about bad beats being a "business expense" and a sign of good play was also brilliant. I couldn't agree more. If you read this blog a lot, then you will know that I often refer to them similarly as a "tax" that we all have to pay. As Jared rightly points out, improving your mental game is a process that takes considerable time in training your mind. Hopefully some points in this interview will get you going in the right direction. Make sure to check out his books for more. If there is anything that you would like to ask Jared or myself in the comments below about the mental side of poker, go right ahead. I would also like to know, what are some of your biggest mental hangups in this game? Lastly, if you found this article helpful, do me a favor and give it a "Like" or a "Tweet" below. Thanks! Reading both books really opened my eyes about the mental game. Took many of Jared's suggestions in use like the journal and the abc profile among others, trying to improve everyday. Currently on my 2nd read of TMGP2. Good stuff Jorge, the mental game is where you can get the biggest edge today imo. Thanks David, glad you enjoyed the interview! Yup agreed and thanks for reading! I agreed twice to get your i-book but my email subscribe your blog but no copy arrived?? can you help me to get it? Sorry about that. It gets sent by email automatically when you sign up for my newsletter. Sometimes there might be a delivery problem or it went to a spam folder though. 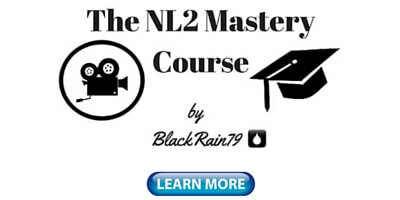 Send me a quick email at blackain79@dragthebar.com and I will get it to you. Excelente autor! Lei el Tomo 1 y me gustaria saber si is available el tomo I en Español. Me Cuesta mucho el inglés !!! Muchas gracias. !! Amazing opportunity Nathan , that's a fuc***g interview ! I really love this paragraph : "Bad beats are like a business expense. They’re unavoidable and frankly they’re evidence of quality play. 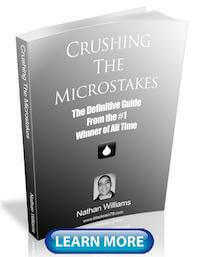 If you’re not taking bad beats, it means you’re not playing well enough to be a favorite." "So without further ado" I was hoping for a lot more ado. disappointed. Leatherass was making 20k-30k a month before coaching and he was angry ... I don't know about america or canada but with that kind of money per month if you live in Romania like me ... you will be the top richest people in Romania ... I won't ever care about making more than this and I will live like a king in my own country ... so too bad Leatherass wasn't born in Romania lol.